Fitness trackers and motion sensor-packing smartwatches have given us a reason to flaunt our healthiness and it's not gone unnoticed by companies like Apple, Microsoft, Samsung and Google. The rise of fitness-focused wearables has led to the birth of health and fitness platforms that take the flood of data and present in a way that'll help you make better sense of why you only managed 2,000 steps or didn't get enough shut eye. At least that's the theory for most. Most have been around for more than a year and it's taken that long to see the role they'll play in the future. Especially for wearables. Microsoft Health has been making big changes with the arrival of the Microsoft Band 2, while Pebble has decided to throw its hat in the ring, which we'll go into a shortly. Wellness platforms are going to be a big deal in 2016, but here's who's making a big impression right now plus one company that still has some work to do. Google's health and fitness platform was first out of the traps and since then, Google has been swiftly adding new features and greater app support quicker than its rivals, which now includes the likes of MyFitnessPal and LoseIt. While it also wants to be a hub for your data in the same way that Apple Health does, there's also a much greater emphasis on making your Android Wear smartwatch feel more sporty. You now get real-time stats on runs and walks, colour coded circles to indicate activity levels (hmm, sounds familiar) and will even offer workout challenges. Bottom line, you can bypass some of the flakier fitness tracker companion apps and simply live your healthier life inside Google Fit. It's only launched this week, but Pebble's first stab at its own activity and sleep tracking platform is an intriguing move from a company that previously has left it to third party developers the business of getting Pebble owners in shape. 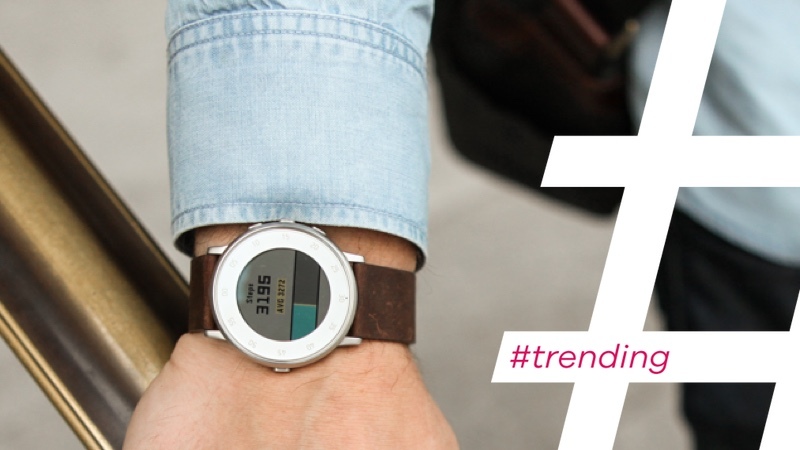 Pebble Health does what most fitness trackers do, counting steps, distance and calories burned. It'll also add auto sleep detection so you can take it to bed with you to count your Z's. But here's where it gets interesting. It's been developed in collaboration with Stanford's Health Lab and it's promising to integrate with Pebble's Timeline UI to see which parts of the day are free to up your step count. It's also working on creating a wearable standard for medical research, which could put it in line with what Apple has visions of doing with ResearchKit. Apple's answer to Google Fit launched at around the same time but it's an entirely different prospect. Unlike Google's approach, it doesn't track data. It aggregates the information from other health and fitness apps and trackers including the Moov Now. Aside from making more appearances during every fitness tracker and smartwatch set-up process this year, it still has a habit of struggling to sync data in real time reliably enough or share the correct data without issues. Integration with Apple's Activity app still feels very underwhelming as well. While it's too early to say Apple Health is a dud, it's the one out of the three platforms that we're expecting to see more from in 2016. Especially with the arrival of the Apple Watch 2.